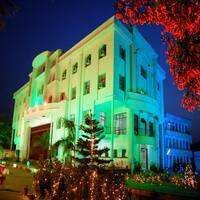 Integral University (IU), Lucknow was established in 2004 under the act number 9 by the U. P. State Government. 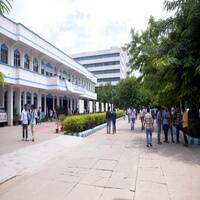 Integral University, a seat of educational excellence, is a premier university in Lucknow, the capital of Uttar Pradesh, India. 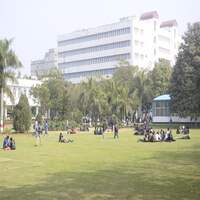 It is rather historic that, within a span of six years the Institute of Integral Technology on account of its educational excellence, credibility and value based education in a highly disciplined and decorous environment was recognized as a noted seat of learning all across the country and thus was granted a University status in 2004. The aim of the university is to educate and guide the teeming millions of younger generation from cradle to crater in the most constructive and innovative way for nation building, to inculcate a spirit of confidence, self-respect and to impart a deep insight into the state-of-art and excellent education system and to make India dominant G-1 country empowered with quality education, higher economic growth, valuable moral practices and self-reliant in all sectors and fields. The University is situated 13 kms. away from the heart of the city of Lucknow on Kursi Road in a peaceful, serene, calm and quiet place which is conducive to impart knowledge and to provide opportunities for innovations, research and development for talented and imaginative students. The Center for Career Guidance & Development of IU, managed by experienced personnel from industry is actively assisting the students in developing their personality, enhancing communication skills and general awareness through workshops, seminars& Industrial Training This ultimately helps them in their Final Placement .High emphasis is paid on building Industry - University Relationship. The cell's working is automated and the records of the student’s Academic status, Training, Seminars, Project and Placement etc. are available on finger tips.